Real estate is hot in Bangkok. So hot that these two projects claim to have sold out before groundbreaking. I suppose the psychology of the signs is to make us feel like fools for being so late in buying. Another project down the street is almost completed. 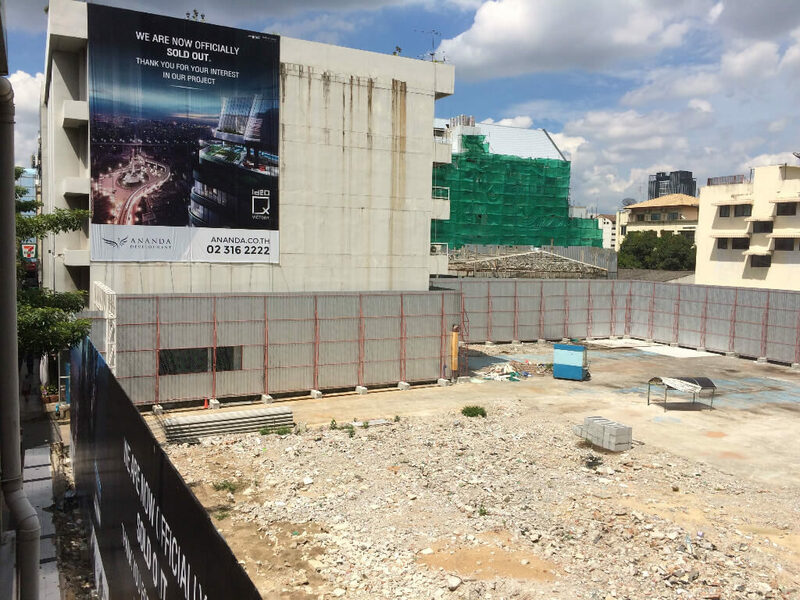 This one is not sold out, and advertises condos starting at 5,000,000baht, $150,000. I assume that is for a 40 sq meter room on the first floor alley, not on the 20th floor facing Sukhumvit downtown. Behind this wall is just demolition of an apartment building and a 7-11. 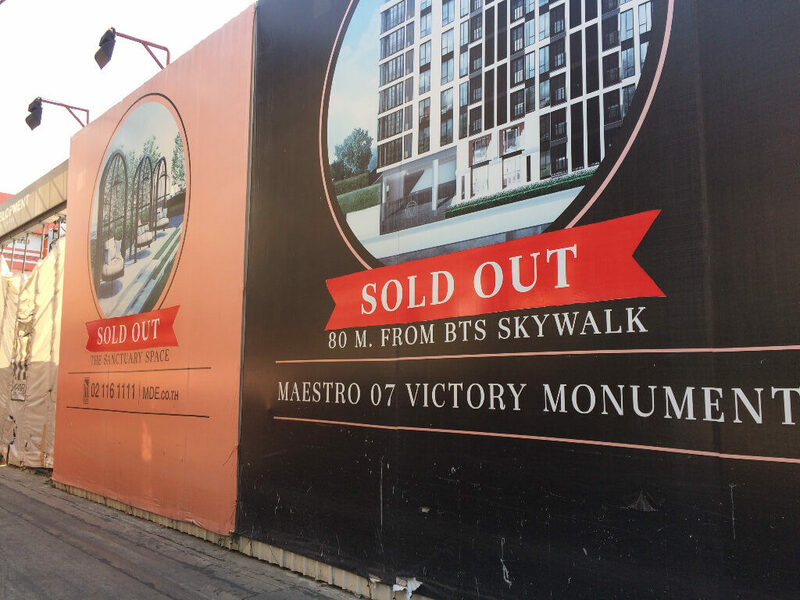 Next to Victory Monument BTS, no building activity at all. The demo crew left a very clean site however.